The projects with the highest return on investment aren’t always the most apparent. 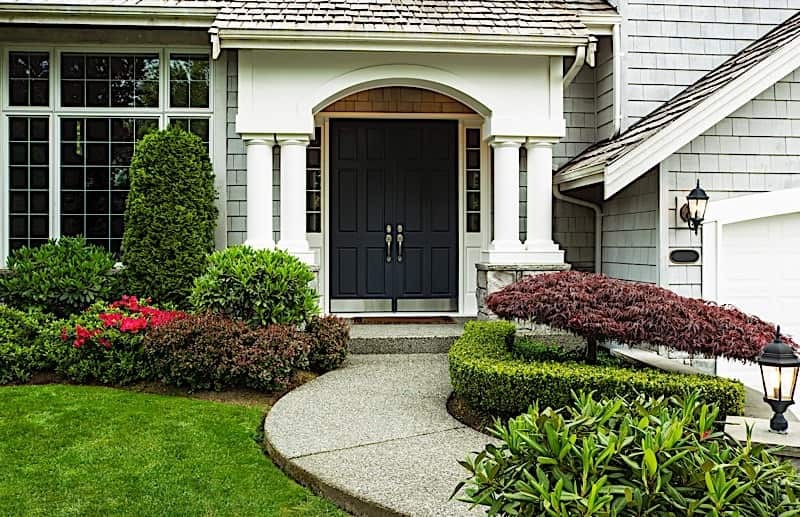 Front door remodeling projects are often associated with some of the best profit margins for smaller projects. Remodeling ROI is something every investor needs to pay special considerations to, as it could be what makes or breaks a deal. Do you know what high return investment projects to focus on? Better yet, what can you do to create high ROI projects for your next rehab deal? The highest return on investment could mean the difference between a good rehab and a great rehab, so be sure to pick the right projects. Real estate investing, for the most part, is predicated on one thing: making money. Every decision you make will impact your bottom line, and therefore should be calculated. It is not enough to blindly make upgrades that you feel belong: you need to make the right improvements. It is entirely possible to lose money by making the wrong upgrades. Some projects simply don’t warrant the initial cost. (This can even extend to alternative types of investing, such as tax lien investing). Conversely, there are projects that separate themselves from the rest, and actually return more profit when it comes time to sell. The real trick is to focus on the projects that don’t coincide with such drastic highs and lows—the ones with consistent ROI. Return on investment (ROI) is essentially a data point expressed as a percentage that identifies a project’s validity. In other words, ROI is used to determine which investments will add the most value to a property. ROI can be used to compare different assets, not the least of which include the projects I will hit on below. Not surprisingly, the projects with the highest return on investment should be at the top of your list. Check out the following ideas to get started. Nothing has proven to be a better return on investment in recent history than a front door replacement. In fact, steel entry doors have been known to return approximately 101.8 percent of their initial investment upon resale. That means people are actually getting more back than they spent on the door itself when the time comes to sell. Of particular interest, however, may be the added benefit of curb appeal. While front doors do add value to a home, they simultaneously make it more attractive from a buyer’s perspective—an invaluable addition to any remodel. The average cost to install a wooden deck is just over $10,000. While the price is relatively high, at least compared to a front door replacement, wooden decks have become synonymous with great returns on their investment. Some experts suggest that building a wooden deck can recoup as much as 80.5 percent of the initial cost upon selling the home. Depending on where you live, the ROI could be even more impressive. Decks are certainly a product of their environment, both economically and environmentally. There is no denying their ROI potential, but decks – or at least the prospect of decks – took a hard hit during the latest recession. Wooden decks are one of the few projects that vary drastically by location. While nearly every prospective homeowner would want one, there are only a few regions where decks can be used almost all year long. San Diego, for example, has some of the best weather in the country. As a result, decks are more valuable because they can be used more often. It is also common for the ROI on a wooden deck in temperate locations to be higher than, say; Seattle, where it rains a lot more. The prospect of converting an existing attic space into another bedroom became extremely popular during the latest recession. Perhaps even more importantly, it was one of the most cost-efficient ways to improve the value of a home. Not only does the home’s footprint remain unchanged, but also there is no need to add walls, flooring, or even a ceiling. On average, converting an attic space into an additional bedroom will cost $51,696. That is considerably less than building a new room from scratch. Of course, the real draw in converting an attic space is the resulting return on investment. When it comes time to sell the house, owners can expect to recoup as much as 77.2 percent of the initial cost; enough to come in at third on this list. Not unlike the front door, garage door replacements serve as a dual threat. Not only can a new garage door increase the value of your home, but it too can also increase its curb appeal exponentially. When it comes time to sell, the home will sell quicker and for more money. The cost to install a new garage door can vary significantly. Whereas a mid-range replacement can run homeowners about $1,595; upscale replacements are twice as much. However, the ROI on a mid-range garage door replacement is higher than an upscale one, 88.4 percent and 82.5 percent respectively. It is hard to argue the impact new fiber-cement siding has on a home, particularly when it changes the appearance of the whole property. However, its benefits are far beyond that of cosmetic aesthetics. Fiber-cement siding offers superior longevity that something like stucco or wood could never come close to. It is capable of resisting termites, moisture, rot and fire. It is an investment in and of itself: it’s very rigid, so it requires less maintenance – saving a lot of money over time. Moreover, fiber-cement has one distinct advantage over its vinyl counterpart: perceived quality. Fiber-cement siding has the added benefit of curb appeal. While it improves the quality of the home, it also makes it more attractive to prospective buyers. Homeowners can expect to recoup approximately 84.3 percent of the initial cost when they sell the home in the future. Window replacement projects have withstood the test of time, and still account for one of the highest ROIs on a remodel. It has been estimated that mid-range vinyl window replacements can return as much as 77.5 percent of their initial cost at resale. Wooden window replacements, however, have a slightly higher ROI, at 78.8 percent. For what it is worth, new windows may be the most efficient use of your rehabbing budget. Their return is three-fold: They simultaneously increase curb appeal, value and efficiency. There may be no other remodeling project that accomplishes so many things. The resulting curb appeal and value are a given, but the right windows can reduce a home’s carbon footprint for years to come. Both heating and cooling costs can be significantly lowered with insulated windows that regulate heat exchange. As previously discussed, fiber-cement siding is a great way to see a return on your investment. However, it turns out that vinyl siding is almost as popular. Coming in slightly under that of its fiber-cement counterpart, mid-range vinyl siding projects have been estimated to recoup 80.7 percent of their initial cost. With a lower cost than other types of siding, vinyl appears to be the most popular option. It still offers a lightweight, low maintenance, and relatively low cost alternative. Some brands offer a degree of thermal resistance, effectively reducing energy consumption that would have been used to heat and cool the home. Not unlike window replacements, vinyl siding can make a home’s operating cost more bearable. Let there be no mistake about it: the kitchen is the most important room in a home. There is no reason a significant portion of your rehab budget should not be allocated toward upgrading the kitchen. Accordingly, kitchen updates also coincide with relatively high ROI rates. On average, it costs $19,226 to update a kitchen. The average return on investment, is around 79.3 percent. Considering these numbers, you can recoup a significant amount of money on a kitchen update. Remember, there is perhaps nothing else that can sell a home faster than its kitchen. Make sure yours is on par with its competition—if not just a little better. Not all remodeling projects are created equal: some have a high return on investment, while others only appear to have a high ROI. Truth be told, the remodeling return on investment has more to do with appeal than the actual project itself. In other words, high return on investment projects are those that buyers want the most. It is a lot like supply and demand. The more buyers want something, the more they may be willing to pay for it. Research The Timeline: Depending on your exit strategy, the timeline of a renovation project could directly influence your profits. If a project will take several weeks, for example, it could result in more holding costs. As you plan your budget for a given deal, look at your ideal timeline and plan accordingly. You can do online research or consult a contractor to get an estimated timeline. Pay Attention To Your Market: Find connections in your real estate network with a pulse on market trends, and ask which features are popular in your area. While vinyl siding may have a high ROI in one market, it could be a downgrade in another. Always keep an eye on comparable properties in your area when choosing potential improvements. Think About The Type Of Repair: Home improvement projects will generally fall into two categories: structural and cosmetic. While both can attract potential buyers, cosmetic projects may not necessarily add to the property value. Consider your goals for the renovation and identify which upgrades will have the highest return for you. Be Realistic: A home improvement project can have a dramatic effect, but it will still be the same property. This is important to remember when calculating the ROI because while some projects may add significant value on paper the final sale price will still be influenced by comparable homes in the market. As you plan project ideas try and maintain a realistic outlook for your property. Consider Regular Maintenance Projects: Are there any areas of your property that need extra attention before you list the home? Consider any areas that might need regular maintenance and look for ways to tackle these fixes with your high ROI upgrades. By planning maintenance projects and upgrades simultaneously you can optimize your overall renovation budget and timeline. Consider The Age Of The Property: As many investors already know, potential buyers are always going to ask when a home was built. This is important to think about when planning a renovation because buyers expect to see certain areas preserved. For example in an older home, buyers may want some original features maintained. Keep this in mind when planning upgrades. Search for inspiration: If you have a list of potentially high ROI projects for your property, but aren’t sure how they would look once completed search online for some inspiration. You can look at property listings with similar features on Zillow or Trulia to get a better idea of a finished look. Depending on where you are in the planning stage, websites like Pinterest may even help you hone in on the details for certain upgrade. The right improvements can boost a home’s curb appeal, functionality and even property value—all of which can help attract potential buyers. While kitchen updates may be the most common, projects like replacing windows or adding a deck are also shown to have a high ROI. Remember, there are countless ideas on how you can customize a property and generate attractive returns. Try some of the projects listed above and improve your property today. Do you know of any high return on investment projects we didn’t mention? Let us know in the comments below.